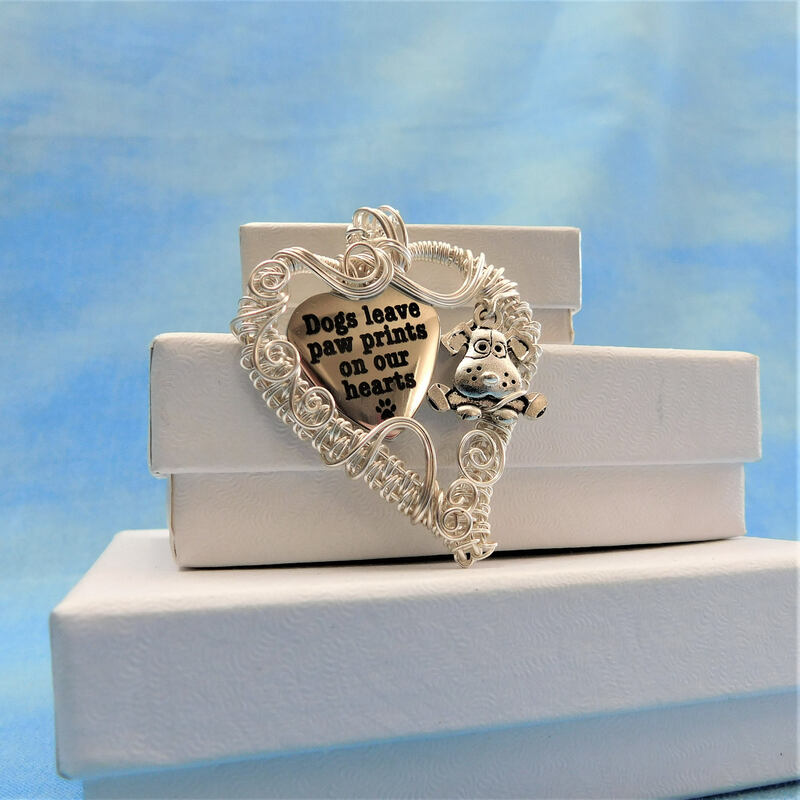 A puppy with a bone peeks through a meticulously woven wire heart. 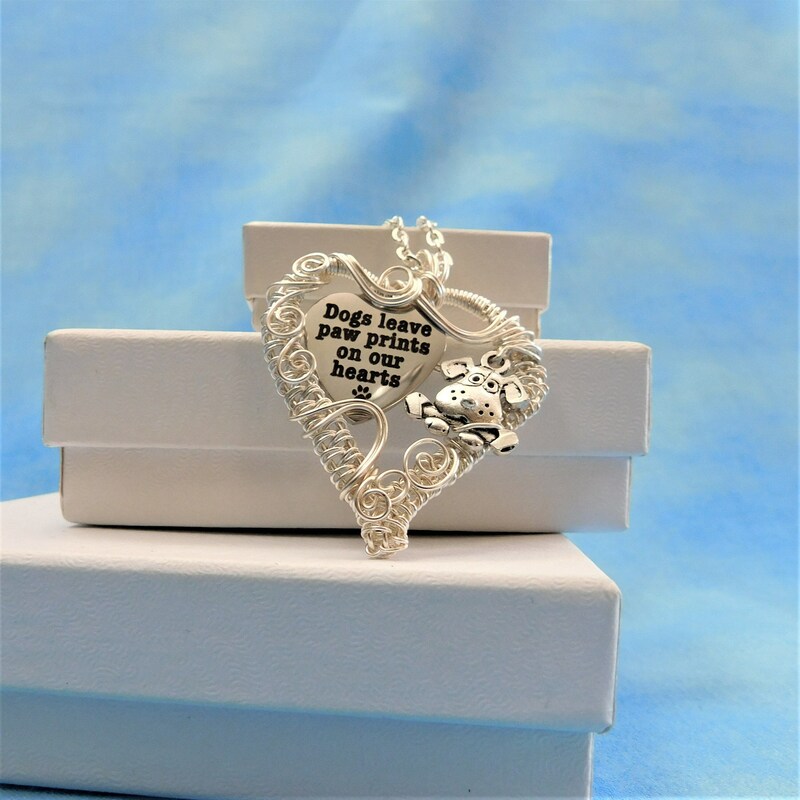 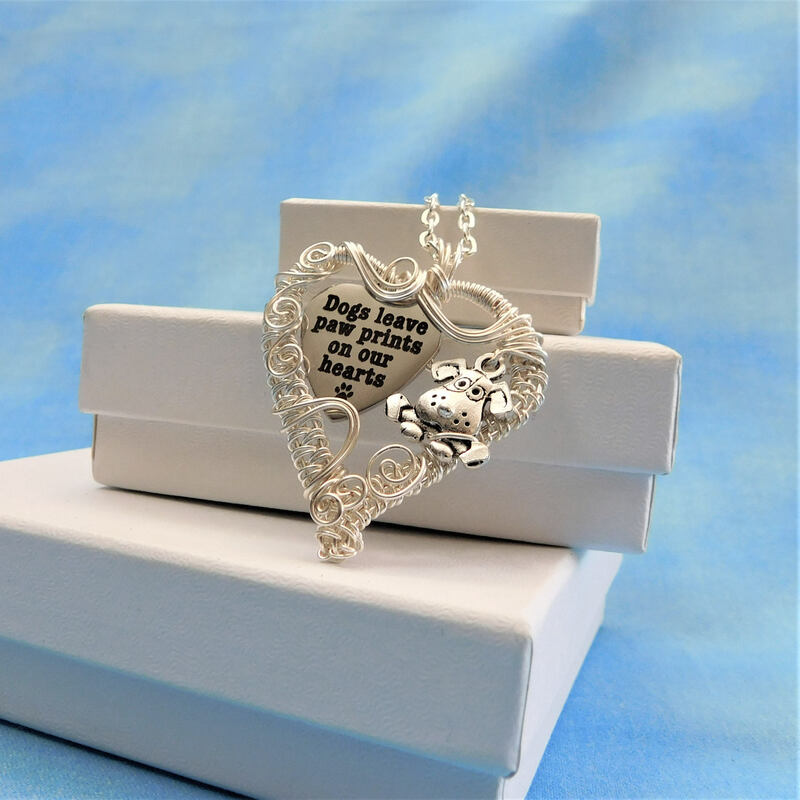 The sentiment stated in the middle of the frame is that "Dogs leave paw prints on our hearts". 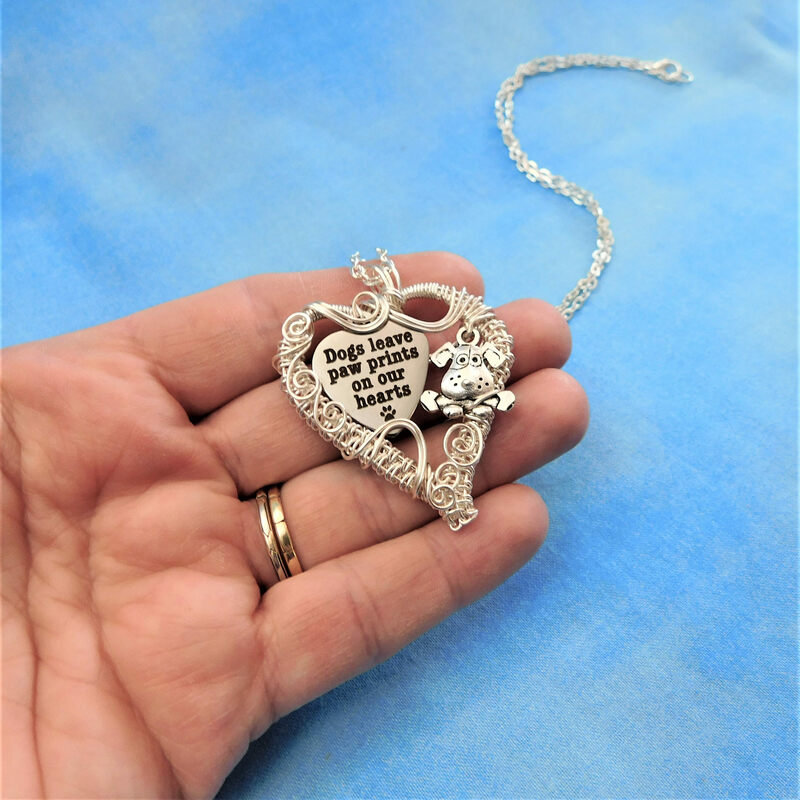 Anyone who ever loved a dog knows about those paw prints. 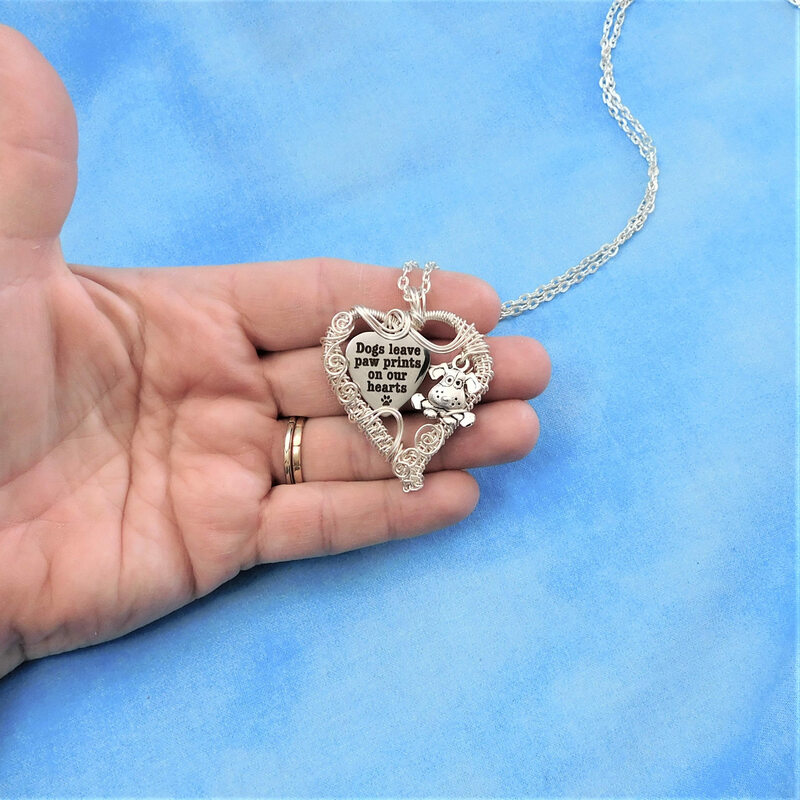 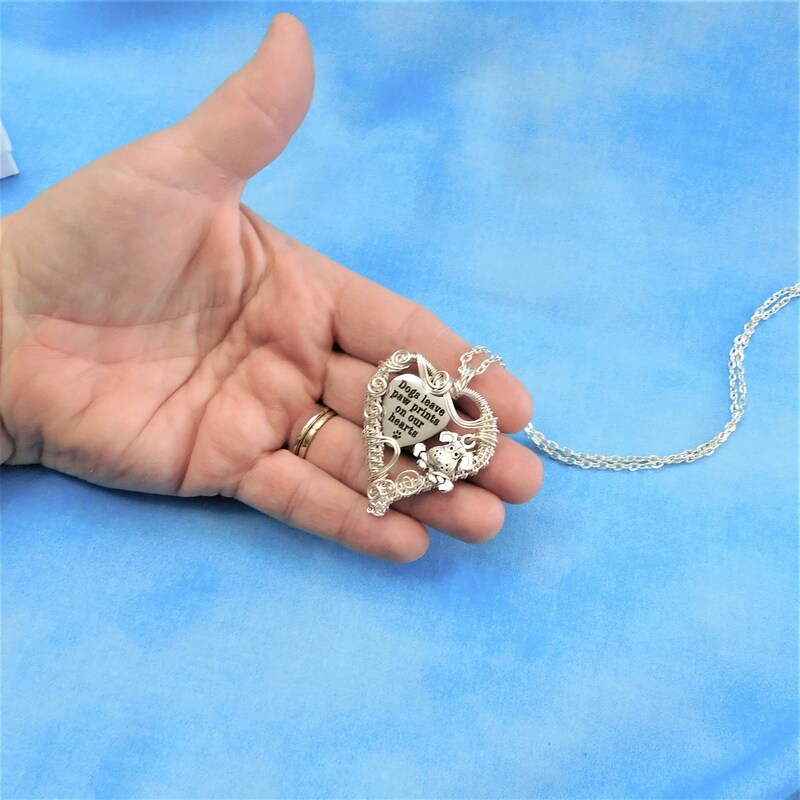 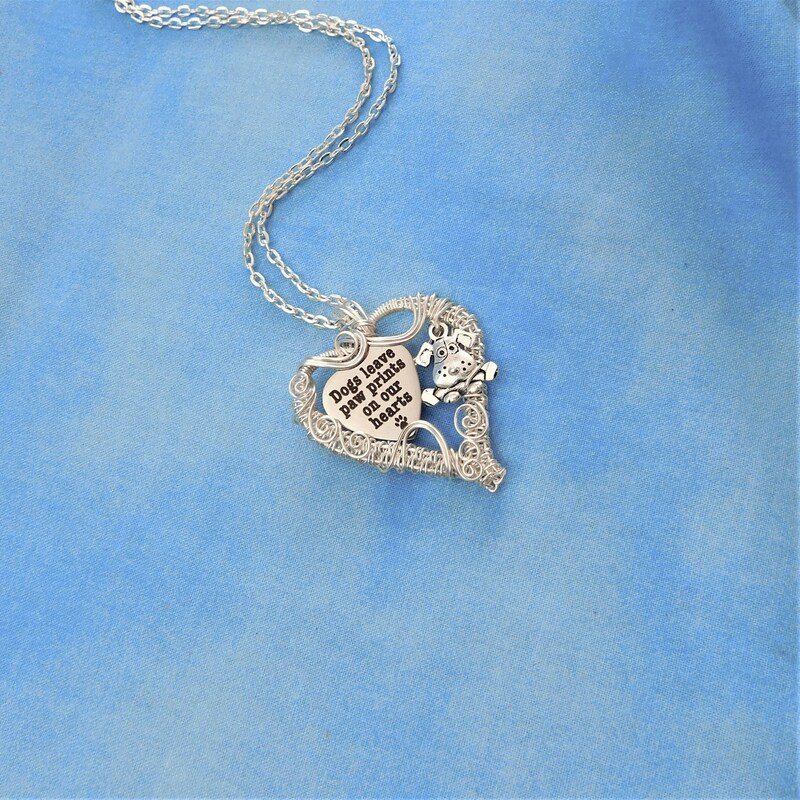 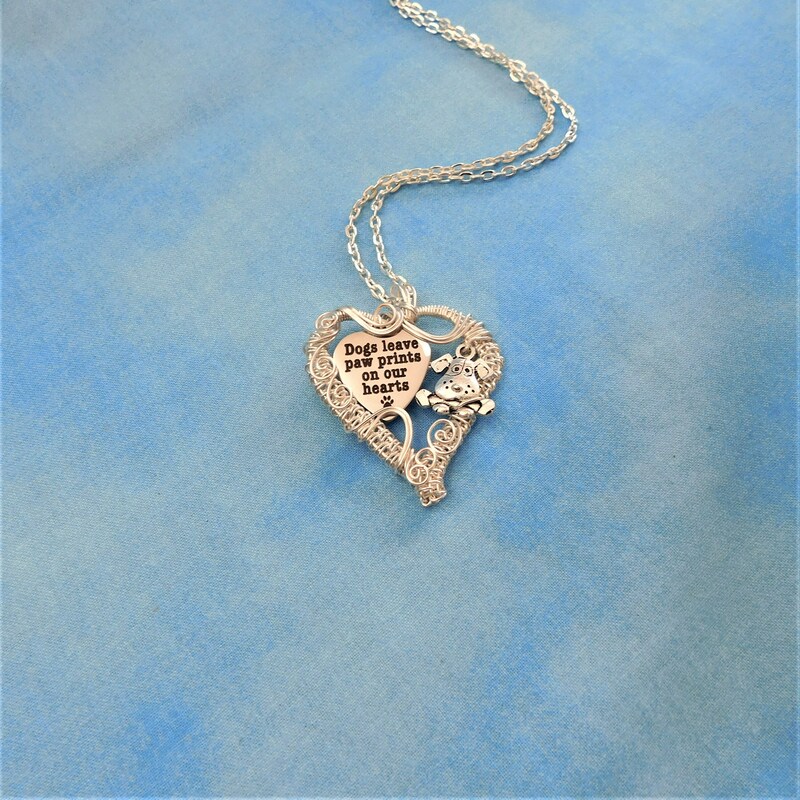 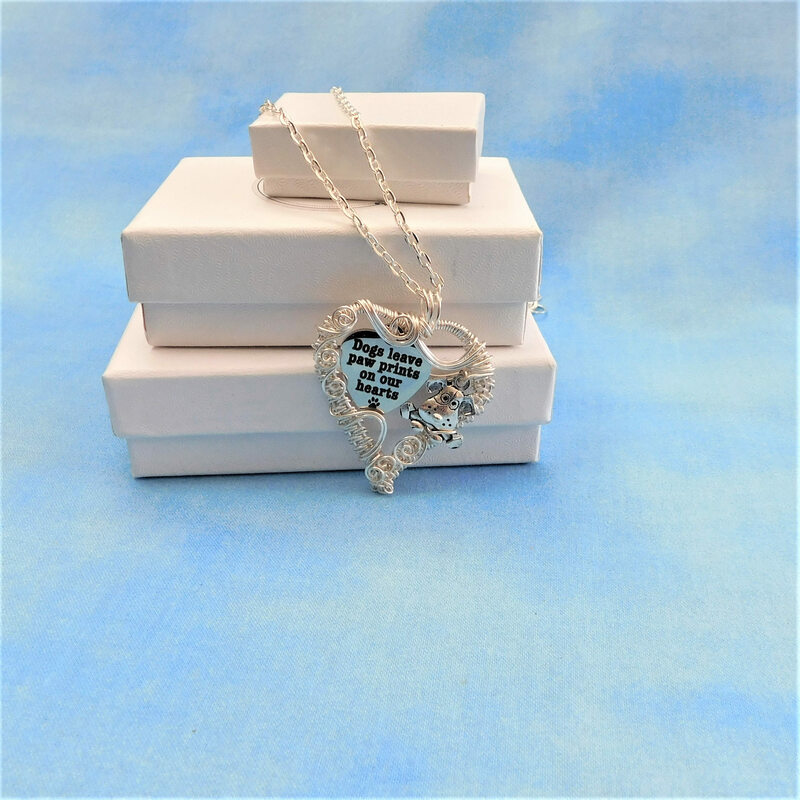 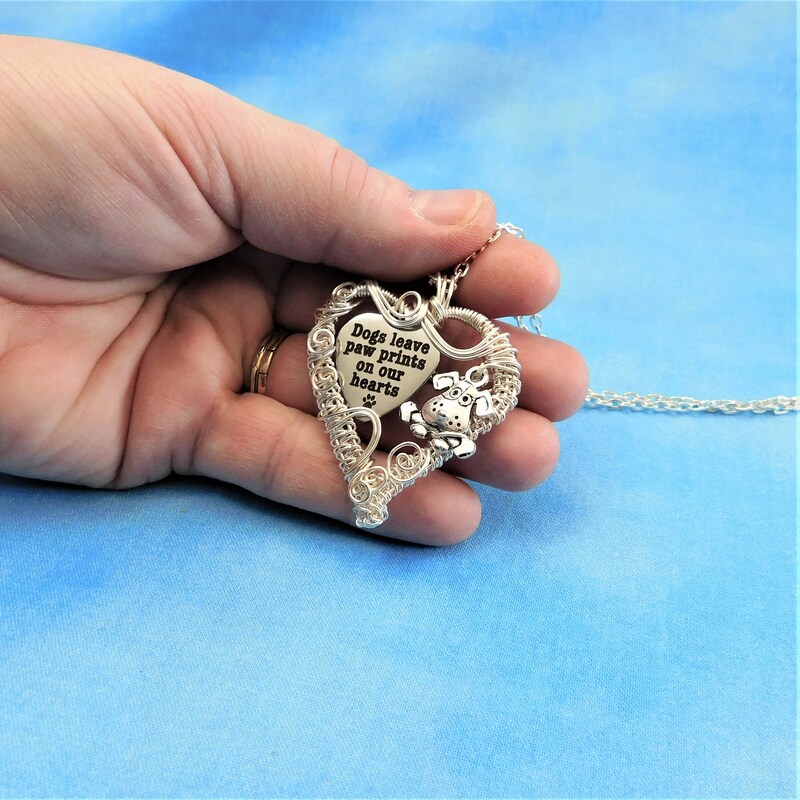 The pendant measures 1 1/2 inches by 1 1/2 inches and comes with a FREE coordinating chain, measured to your preferred length,with lobster clasp.